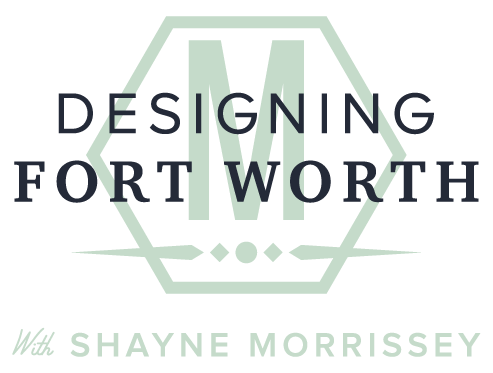 Welcome to the blog of Shayne Morrissey, the resident interior designer at Morrissey Home Solutions. My clients Melissa & Michael built their home 4 years ago. With a growing business and two young children, there wasn’t much time to spare on details and finishing touches. 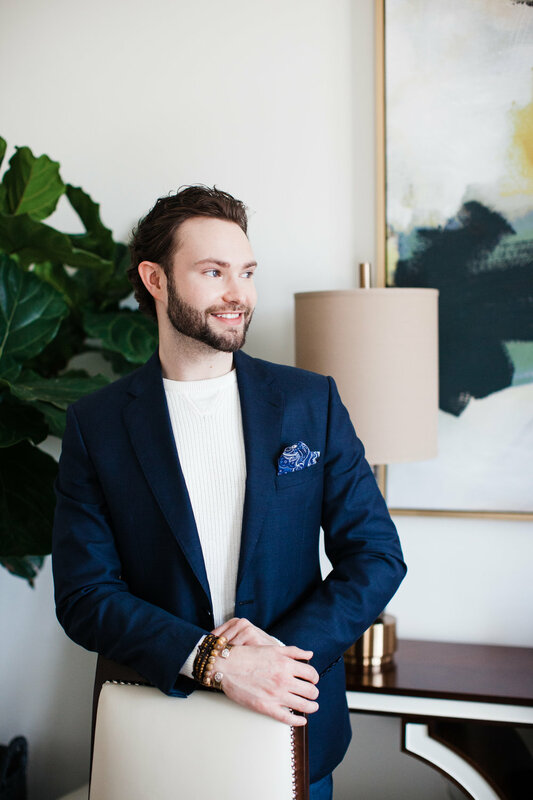 Melissa shared with me her vision for a beautifully furnished cozy home, and after spending some time getting to know the family, I was excited about the opportunity. The home was a blank slate with tall ceilings, hardwood floors, light walls, and large windows- the perfect candidate for a total furniture overhaul. The home is open-concept, so I made vignettes to create focal points throughout the home. This way, all of the spaces communicate, but they also take on their own forms. Our design process began at the center of the home. A large vaulted living room with exposed beams opens up to floor-to-ceiling windows. We sourced custom window treatments to soften the room, and added a large candelabra pendant which anchored the space. The furniture is a blend of natural elements in contrasting colors. With kids in mind, we chose customizable furniture with durable fabrics to make the room practical and livable for the entire family. When working with large spaces, I like to create vignettes. This whitewashed wood console with contrasting metal hardware and nailhead details is a conversation piece with added storage for blankets and pillows. I like to build scale with art, and mirrors. This alabaster lamp is one of my favorite things! In the breakfast nook, we installed roman shades and opted for a round table with contrasting bronze Louie style chairs. The rug softens the space and plays on the contrasting values of the furniture. A large circular vestibule separates the foyer from the living room. This area presented a challenge- I needed to find a table that was large enough to accommodate the space, but I didn’t want it to look like a dining table. This black center table with a geometric brass base was the perfect thing! I like to make master bedrooms that feel like resort suites. This is a large master with high ceilings, so I sourced oversized art and large night stands in order to make the space feel cozy and intimate. To create a full and luxurious bed, go for an upholstered bed frame. You can layer your bedding and customize throw pillows to create a tailored look. Making a bed in this style gives a high impact to any bedroom. The windows in the bay are segmented, creating awkward angles in the wall. It was challenging to figure out how to drape the windows. We built a custom ceiling track which allows the heavy crushed velvet fabric to glide with ease. We combined 2 series of art for the bedroom- This pulls a room together, without making it look like a catalogue. The dining room is located at the front of the house off the foyer. I wanted to create visual drama in this space as it is visible from the entry. I had the chair rail and millwork painted coffee in order make the space appear more layered. We kept the table Melissa had previously, and sourced coordinating chairs with wood backs and upholstered seats. The rug anchors the dining table and adds texture to the room. 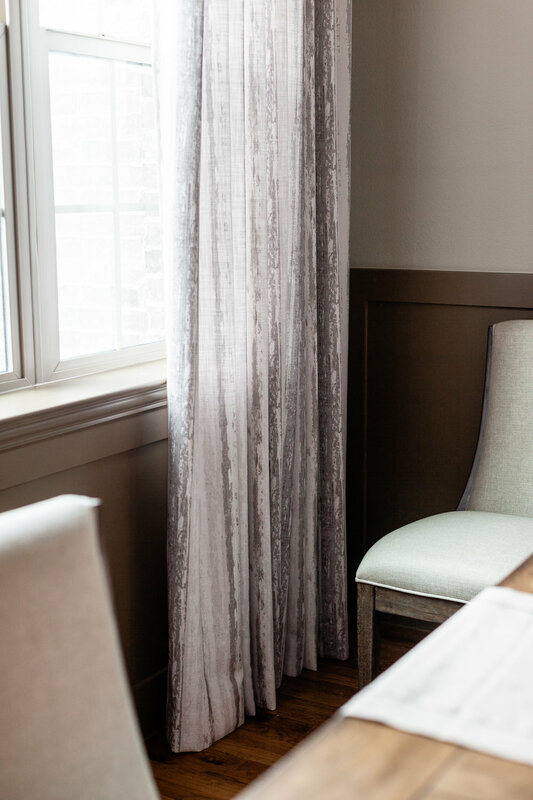 Custom window treatments combine both the millwork and wall colors. The study became a combination of old and new elements. Michael inherited this zebra rug from his father, which was the perfect combination with the comfy worn leather chairs. 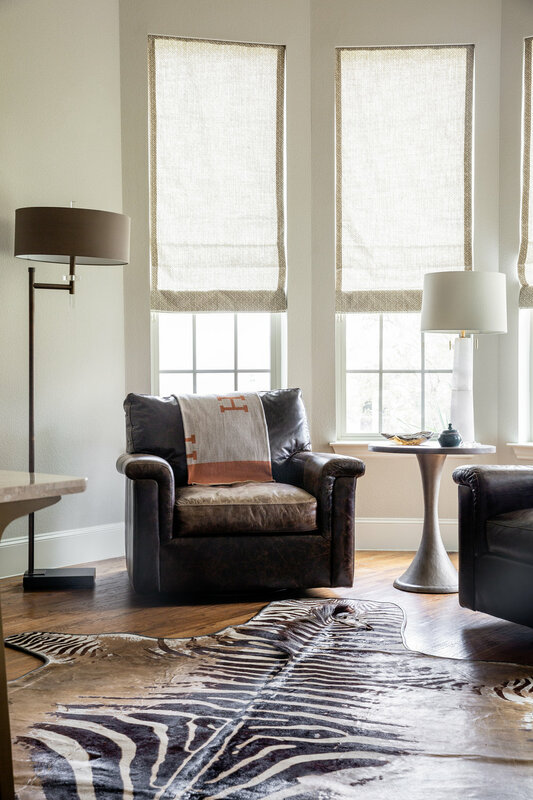 We added Roman shades in an antelope pattern because that seemed like the natural thing to do! I have found that furniture can be the most personal aspect of the home design process. These are the details that tell the story of the people who live there, and I feel honored to be a small part of that narrative. Welcome to Morrissey Home, the official blog of Morrissey Home Solutions. In 2012 I graduated with my Bachelor’s degree in interior design. After graduating I spent a year working for a furniture designer in Dallas, and though I enjoyed my job, the winds of change began to stir. Anyone who knows me can tell you I’m a person who relies on signs, and all of the signs were guiding me in a different direction. In 2014 I took a leap of faith and made a business collaboration with my dad who is a residential contractor in my home town of Fort Worth, Texas. I couldn’t see it at the time, but this was the beginning of what would become an incredible adventure. There is more to the story, but that’s how Morrissey Home Solutions was born. Thank you, in sincere appreciation to every client, friend and supporter who has made my vision a reality. I am so excited to share this blog with you! I welcome you to check in from time to time, and subscribe to my posts if you feel so inclined!